We have a very small kitchen. 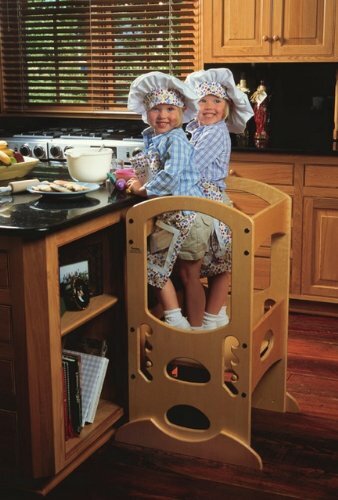 It works great with one of us in there, but it generally becomes a gathering space for the whole family. 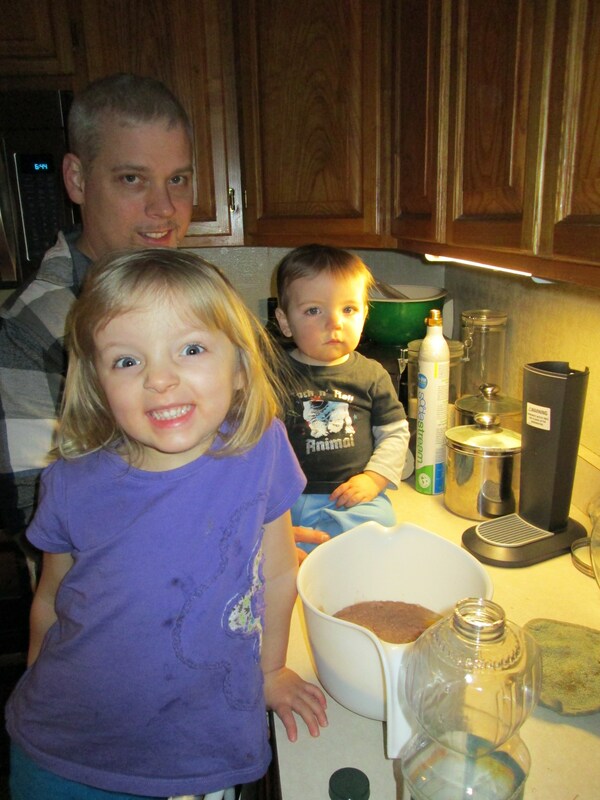 And when I’m trying to bake something, everyone wants to help. Although Devon is adorable when he dresses up in his sister’s princess dresses and tutus, I thought it was time he had something of his own to dress up in. 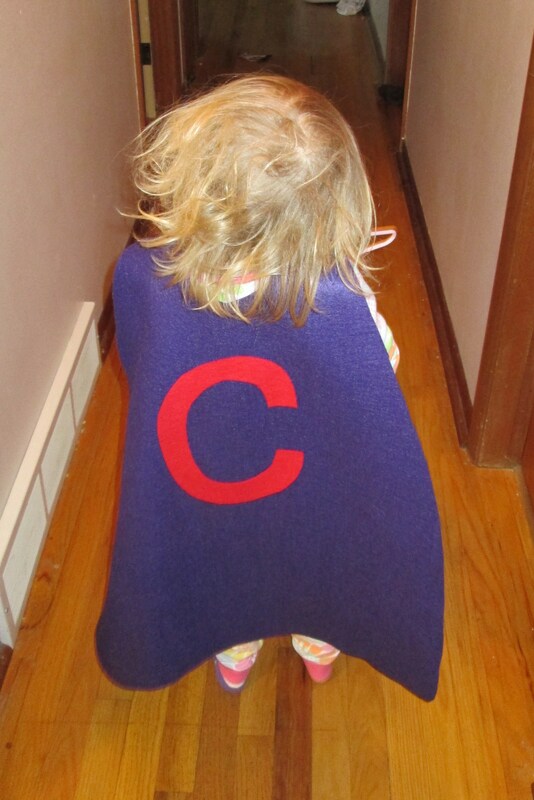 My solution – a superhero cape! And since Chloe kindly shares her dress up clothes, I thought she should have one too. 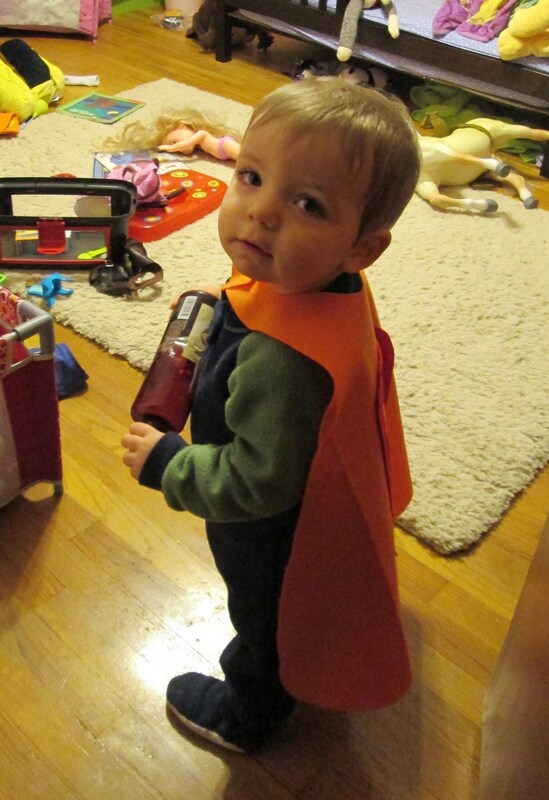 I used this as my inspiration and in no time at all, both kids had capes with their initial on the back. Aaron aptly nicknamed the kids Captain Chaos and Destructor, based on their personalities and initials. 🙂 Here are our pajama-clad superheroes! Oi! Where have I been?!? I really enjoy blogging. I don’t know if anyone reads it, but I like writing it, regardless. Sometimes though, life gets in the way. 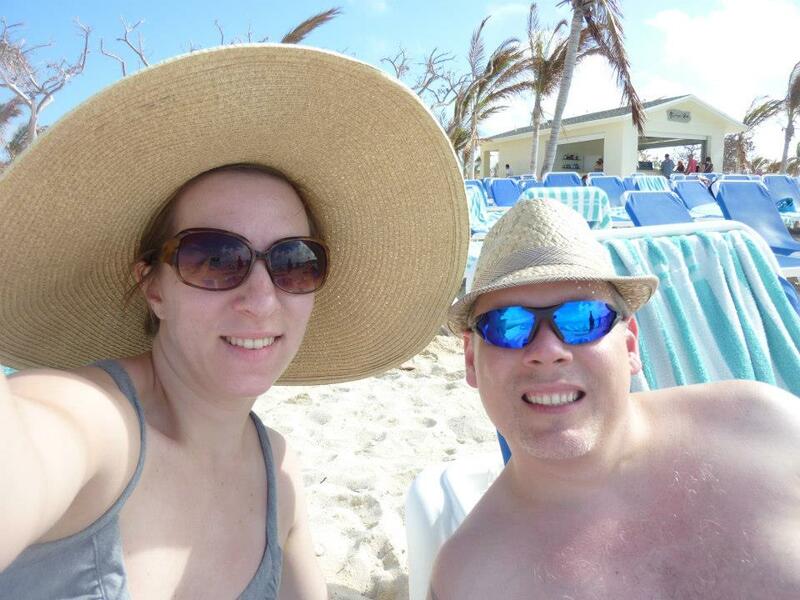 In the first part of December, Aaron and I went on a 3-day cruise together in celebration of his 40th birthday. But we’re here. And I have ideas floating around in my head for blog posts, so hopefully you’ll be hearing from me more often!